The first person who can be considered one of the cable TV founders is John Walson. He invented cable television in 1948 when he mounted an antenna on a mountaintop in Pennsylvania and connected it via cables and boosters to the televisions in his store so they could receive stations in Philadelphia without interference. However, the technology behind transferring video via cables was created in 1885 by Henry Sutton. Sutton tried to submit pictures of the Melbourne Cup through his Telephane (considered the forerunner to television), but the telegraph wires he was using to transmit the data did not have the bandwidth needed to transfer a true picture. AT&T’s founder is the most famous person on this list. Alexander Graham Bell, who invented the telephone, first created the Bell Telephone Company in 1877. The American Telephone and Telegraph Company (AT&T) was created in 1885 as a subsidiary of the American Bell Telephone Company. In 1894, Alexander Graham Bell’s second telephone patent expired, which allowed competition to enter the cable business. Over 6,000 companies joined the cable business over the next 10 years. In 1974, the government started an antitrust against AT&T, stating it had a monopoly. It was resolved in 1982, and AT&T was split into several parts in 1984. Bell Atlantic took several of these companies and operated in several states on the East coast. In 2000, Bell Atlantic merged with GTE and formed Verizon. James Cox bought the Dayton Daily News in 1898, served two terms as the governor of Ohio, and ran for president of the United States in 1920. He bought several other newspapers, and together they formed Cox Enterprises. James Cox died in 1957, but his legacy continued. In 1962, Cox Enterprises started purchasing several cable systems. This cable network broke off as a subsidiary of Cox Enterprises in 1964, and became Cox Broadcasting Corporation. Eventually, Cox Broadcasting Corporation became Cox Communications, as it is called today. Time Warner Cable comes from a merger between Warner Bros. and Time Inc. Steve Ross started his career in the rent-a-car business. From there he purchased parking lots and an office-cleaning company. These businesses were combined to create Kinney National Services. In 1966, he purchased a talent agency, and in 1969 he paid $400 million for Warner Bros. Two years later the name was changed to Warner Communications. In 1989, Warner Communications and Time merged, creating the largest media and entertainment company at the time. Ralph J. Roberts purchased a small 1,200-subscriber cable TV operator for $500,000. Although Roberts is considered the founder, he had two partners, Daniel Aaron and Julian Brodsky, who helped with the initial purchase. In 1969, it was incorporated as Comcast Corporation. Prior to becoming a communications giant, Roberts was President and CEO of a clothing store. Most of these cable TV founders started with practically nothing and worked their way up in the industry. 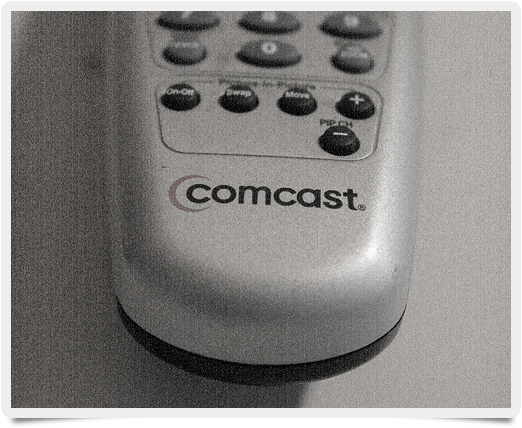 Now Comcast is the leading cable company in the United States with over 23 million subscribers. Time Warner Cable is number two with 12 million, Cox Communications sits in the third spot with 4.6 million, and Verizon and AT&T are in the fourth and fifth places with 4.59 and 4.3 million, respectively.